Rozwiązania HUBER dla rzeźnie, zakłady mięsne - Huber Technology sp. z o.o. 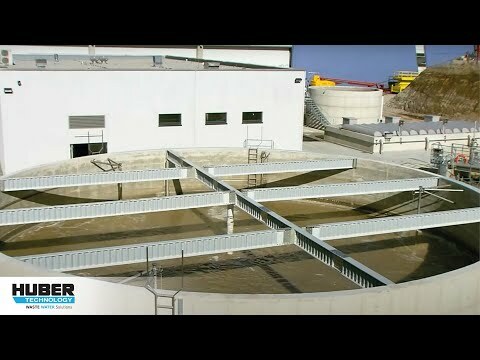 Waste activated sludge, consisting of biomass generated by biological treatment, is concentrated in our Disc Thickener and then blended with the already thickened flotate sludge from the DAF, mainly containing fat and coagulated blood. The blended sludge is then dewatered in our Screw Press. The dewatered sludge cake and the compacted screenings from the wedge wire screen are preferable supplied to a biogas plant in order to increase its gas production.